The capital of Portugal has a lot to offer: located at the Atlantic Ocean, the city combines a favorable climate with tons of history, a modern touch, and a lovely, hilly terrain. Say hello to a city that has reinvented itself numerous times and found its own, Lisbon way to modernity. Fado, great cuisine, highly interesting sightseeing spots and cultural highlights will most probably make you love this place to bits! Lisbon is one of the oldest cities in Europe. It was already inhabited during the Neolithic period, and remains of stone monuments can be found on its outskirts. The city later was under the rule of the Romans, the Visigoths and the Moors (714 – 1147) who all left their imprint on its architecture, cuisine and culture. In the 15th and 16th centuries, Lisbon was the center of the vast Portuguese empire, and its wealth flowed into many iconic buildings. In fact, you will find architecture from many different epochs in Lisbon – even though the city was destroyed by several earthquakes! Besides many other things, visitors get to see the remains of the Roman and Moorish times. Lisbon’s Roman galleries can be visited 3 days each year. If you’re in Lisbon during the end of September, you may be lucky enough to get access to that part of the city’s history! Also, checking out the Moorish ruins of Castelo de Sao Jorge and the Moorish Castle should be on your bucket list while in the city. Another ruin accessible to the public is the Abbey of Carmo. This Gothic church is one of the many historic buildings that were destroyed in the 1755 Lisbon earthquake – but it hasn’t lost its charm! With the Cerca Velha in Rua Roberto de Araujo, Lisbon even has some remains of the Visigothic rule. Also, you definitely won’t regret a trip to the Belem Tower (Torre de Belém) from the 15th century, which is a UNESCO World Heritage Site. To get to see an example of the strongly ornamented Portuguese late Gothic (Manueline) style, check out Jerónimos Monastery. Round off your trip with a stroll through the charming Alfama district – the oldest part of Lisbon – and drop in at one of the many restaurants to have a traditional Portuguese dish and see a Fado performance. Lisbon has an extensive public transport network. Be it by metro, tram or bus – getting around here is a breeze! Of course, there also exist taxi services and bike or car rentals. If you are close to the city center, walking is an option that will allow you to see even more of that beautiful place. The best time to visit Lisbon is either from March to May or from September to October. During that time, Portugal’s tourist sites are not that overcrowded, it’s still warm, and most hotel rates are cheaper. 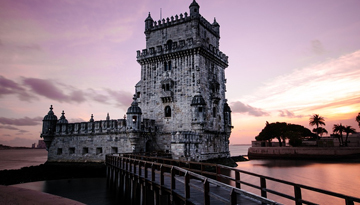 Want your city break to become a memorable one in the fascinating Portuguese capital? 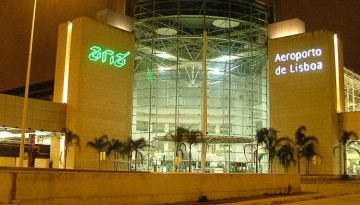 Compare flight tickets to Lisbon and book the one that fits well within your budget. Thomascook Airlines offers a Lisbon flight seats at £169 as roundtrip. Book now. 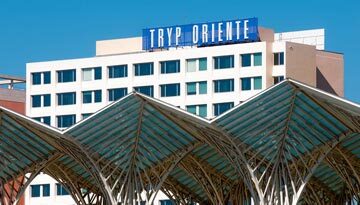 TRYP Lisboa Oriente Hotel offers 4 star 1 night room stay at £85 & save up to 50%. Fly from Liverpool - Lisbon & Stay for 7 nights with 4 star accommodation. Room Only.